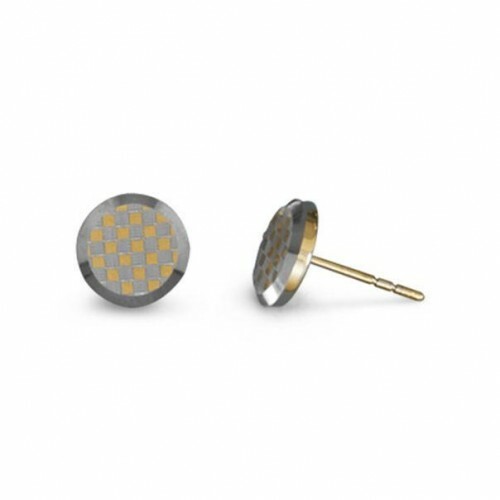 Round tungsten carbide checkerboard design stud earrings. The side and back of the earrings are gold plated tungsten carbide. The earrings are approximately 8mm.